It is our whole school community that makes St Peter’s Woodlands Grammar School special – the students, the parents, the staff, the old scholars and our supporters. If you have a community which values rigour and excellence in education, safety and hope for children then you will have successful children. Everything we do is focussed on that partnership, the ethos of community. We are blessed to be able to develop young lives in a beautiful physical setting surrounded by superb buildings and gardens. It is certainly a stimulating and creative environment for our future leaders. 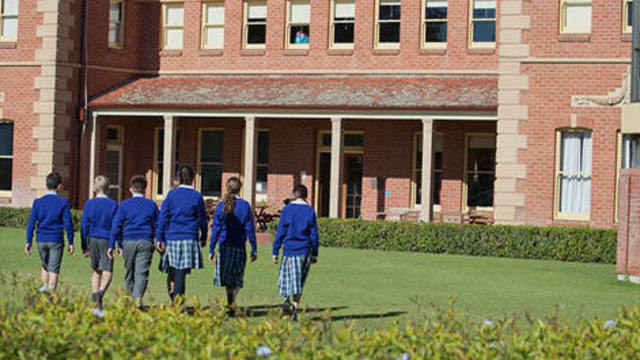 While we love our local area of Glenelg and our state, we are also an International Baccalaureate Organisation World School that offers the Primary Years Program, one of many recognised throughout the world. We are an internationally minded educational institution, part of a much wider universe and culture. Our students know that and are energised by it.